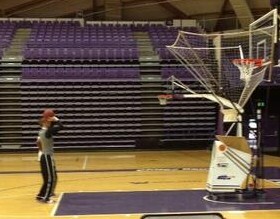 He can't do much else yet after his ACL surgery, but he was cleared to start shooting FT's this morning. It is my recollection it is an area that could use some work! Good thoughts for a complete recovery. Already extremely thin at PG....losing David makes the health of Bryce and Alec even more important and means that D'Marques will probably see plenty of action at the 2 guard if Xubi doesn't step up. I'm sure David is devastated by his latest injury, and I'm also quite sure it's difficult for him to find anything positive about it, but David does have a redshirt year available and if he elects to come back next year it will not only be good be for the team and good for spreading out the recruiting classes a little, it could be good for David as well. Married with a young child, I would imagine another year in school working on a graduate degree will help him considerably after a graduation. DD, have to love your attitude. I always know which side you will choose. Is it against NCAA rules for me to send a protective bubble to Alec Wintering for him to walk around in to prevent illness & injury? As long as there is no bagel spread in the bubble he should be fine. What is DC's plan now? Is he going to take an injury redshirt and attempt to rehab for a return as a senior in 2015-16, or is this it for him? DeanMurdoch wrote: What is DC's plan now? Is he going to take an injury redshirt and attempt to rehab for a return as a senior in 2015-16, or is this it for him? 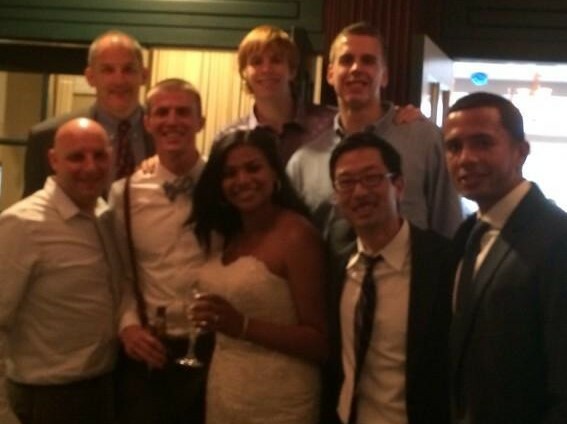 Not sure of David's long term plans, (my guess is he'll be back) but the near term included his recent wedding where he was seen dancing despite his torn ACL.